Given the reports of fires (or even explosions) associated with so-called “smart” electricity meters, you might imagine that electronic smart meters would be the last technology you would want measuring the usage of highly flammable and explosive natural gas….Unfortunately you would be wrong. In some places overseas, smart gas meters are being rolled out aggressively, much to the concern of customers who may already know people whose health has been harmed by “smart” electricity meters. The story below was contributed by an Australian who has successfully prevented his gas company from installing smart gas meter. The correspondent who contributed the photos and letters below is obviously technically savvy when it comes to gas meters; if you are not able to identify the important components of a gas meter, please make sure you get advice from a suitably qualified person if you wish to follow this gentleman’s example and create a bracket to prevent the removal of your existing meter and its replacement with a smart meter without your permission. 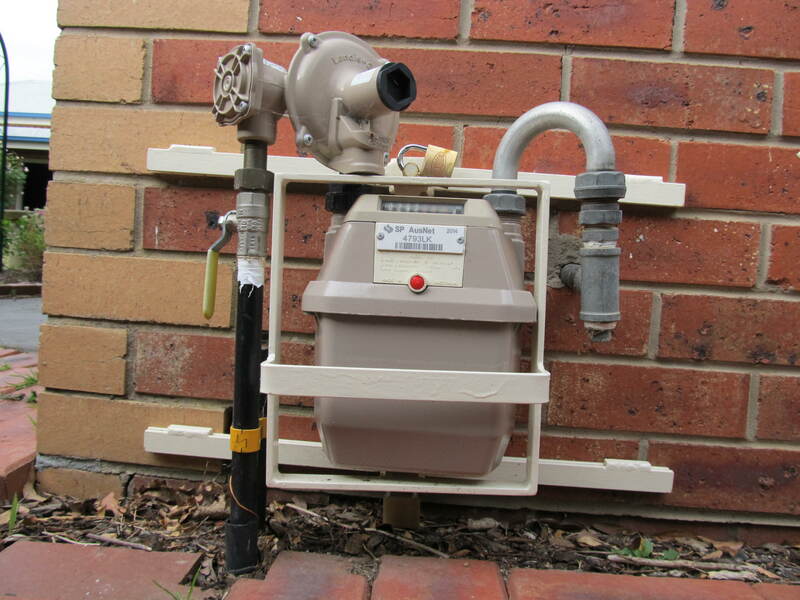 If you have a gas meter and do not want a smart gas meter, you may wish to adapt one of the template letters/notices on our Resources page (that are designed to prevent a smart electricity meter installation) and send it to your gas company. If you would like to give www.stopsmartmeters.org.nz feedback about the response you received from your gas company if you decide to take steps to prevent a smart gas meter from being installed at your home, you can reach us through the Contact Form. Unfortunately, I don’t have any mechanical drawings for my bracket (attachment titled, Aussie Analogue Gas Meter Protection Bracket.pdf) because there are numerous types and sizes of meters and they will each have unique installations that require a specialised bracket to be constructed. In my case, I did a sketch of what I wanted and took it to a metal engineering business and they manufactured it from the sketch (where subsequent measurements were also needed) and it fitted perfectly first up. So I suggest that if anyone prints the photo file off (together with a photo of their own gas meter installation) and supplies these images to their engineer, he should have no problem making a similar bracket. Below are two letters that were sent to the gas company specifically refusing a meter that is “AMI” (Advanced Metering Infrastructure) ready gas meter.